How to clean Ice Maker? 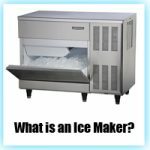 Ice makers are one of the frequently used devices which need cleaning and maintenance tasks regularly. When you take ice from the device, you will not notice when it is last cleaned, and even you may not notice the overall flavor and the quality of the ice that decreases. Like all other devices knowledge about how to clean ice maker is also very important for regular maintenance. Cleaning also helps your ice maker be in a good working condition. The below are the steps for how to clean an ice maker and reasons for why to clean an ice maker. How to Clean Ice Maker? Why is it important? Clear ice: If an ice maker is designed for making crystal clear ice cubes, then make sure that your device is clear of debris which causes cloudiness. Great taste: An ice maker which is not cleaned regularly begins to absorb all the flavors from the tap water. This makes the taste of your ice musty. So be sure to clean regularly in order to get the taste of ice as pure water. Clean aroma: Clean ice should not smell like anything else. Ice maker absorbs odors as the time goes on, so it is important to remove it regularly by cleaning the device. Better health: As your ice maker is in contact with the water regularly, it is suspected to mildew and mold if you do not maintain it properly. Even it leads to some allergies with these microorganisms. So how to clean ice maker is an important thing to do and learn. Actually, it is very easy to clean an ice maker, so it’s worth cleaning it for every 4 to 6 weeks in order to provide the great taste to ice as you expect. 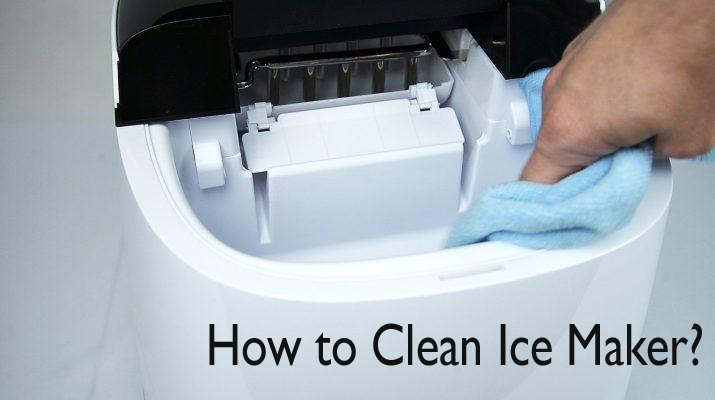 Here are the steps for how to clean ice machine. Before you start cleaning, unplug the ice maker from water and electricity in order to avoid the shock. Drain all the fluids from ice maker if any left-over are present just by unplugging and allow water to run into the sink. The next step is to remove all the interior parts from the ice storage bin. Depending on the model, parts are included such as ice pick, scoop, and an ice basket. If an ice maker has water filters then remove this also for cleaning. If you are going to use your ice maker in recent days, and still there are left over ice attached to cooling coils and if you can’t remove the older ice easily just try to pour hot water over the ice to get melt and dislodge it. Remove the dirty ice chips if any. Making your own ice cleaner solution is very easy. Just mix together one part of white vinegar with the 10 parts of warm water in a pitcher. Prefer lemon juice instead of vinegar, if you don’t prefer vinegar. It also works just in the same way as vinegar but it does not add the aroma of vinegar. Putting this solution into some spray bottle will help you to clean the ice dispenser easily. Take a soft cloth and dip this into the solution and move this soft cloth on the accessories or use the spray bottle to vapor them. Wipe all the accessories with the soft cloth thoroughly to remove any rough spots present. If you have any stubborn stains or hard water lines you can remove it with the paste of baking soda and water and rinse it thoroughly with this solution. If there are any water filters present then use toothbrush or Q-tip to clean them so that water can easily flow through them freely. Dip the soft cloth in the homemade ice maker solution or spray the solution on the interior of the machine. With the help of cloth thoroughly clean the area which has dirt and on the corners of the ice maker. If there are tough spots clean it with vinegar or lemon juice to remove. You can also use some dry sponge, toothbrush or baking powder for some extra power but start it gently in order to avoid the scratches. Now it’s time to make ice, plug in back to the machine, replace water filters, and the drain cap. Now as the part of cleaning process try to make few rounds of ice. In order to make sure that the working parts of ice maker are disinfected, it is better to make a round of ice using the cleaning solution. In this way, you can clean all the parts with vinegar or lemon juice. Do this by simply pouring the cleanser solution into the reservoir and then on the machine. Allow this liquid to fully process until the reservoir gets empty and the ice bin is filled with sour ice, which you need to discard. Drain if any excess liquid present through drainage valve. Ensure that each and every bit of cleaning solution is drained out completely through the machine. Now fill the reservoir with fresh and clean water and run the device with another freezing cycle in order to completely clean the water lines and machine’s coils. Again remove this ice and drain reservoir for last time to ensure that all the traces of cleanser are removed. Now replace the accessories and get the machine back to working mode. To avoid the water spots use paper towels to remove away the excess water on parts of the ice maker. It is very important if you are going to use the ice maker right now as a dry machine are very less prone. How to clean Ice Machine is therefore very important to know, for the device to long last and to increase the durability. How to clean a Portable Ice Maker? 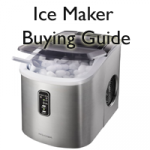 Portable ice makers are quite very simple to maintain and operate. Simply plug the machine and fill it with water and start to make the ice. These ice makers are very easy to clean. How to clean a portable ice maker has a very easy process of cleaning. For portable ice maker to run efficiently clean the ice maker on regular basis. On cleaning it periodically you can get the best tasting ice all the time.